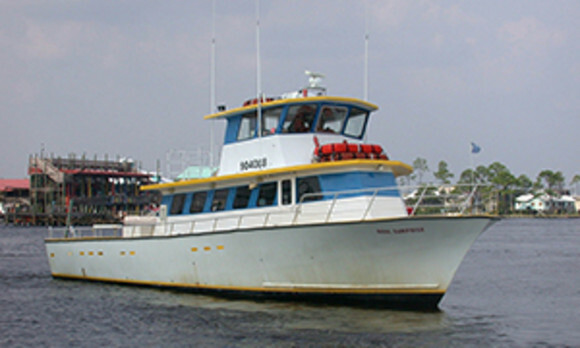 Experience the thrill of the catch on Reel Surprise,a 65’ Bonner, captained by Randy Boggs. Reel Surprise is an air-conditioned head boat accommodating up to 52 passengers, although we limit the number of fishers to 32 for your fishing comfort. Try one of our shared expense, 4-hour trips or call us for information about private charters. We are located at across the street from the Perdido Beach Resort in the heart of Orange Beach. Business hours are seasonal so give us a call for availability and pricing.